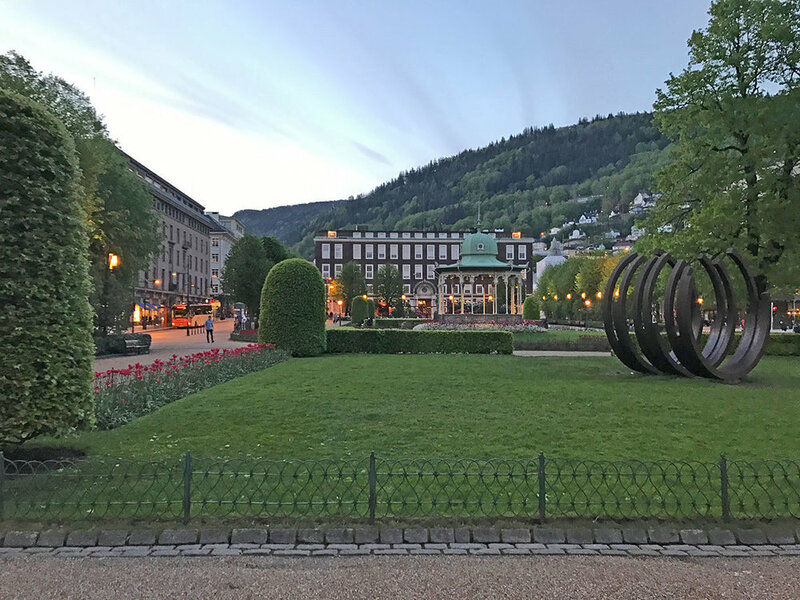 11 Remarkable Tidbits About Norway — Sapphire & Elm Travel Co. If you've never been to Norway, it might be hard to imagine the sheer beauty of the land; the landscape, but also the charming, welcoming and kind people who live there. Often denounced as being cold or impersonal (aren't most cold weather climates routinely announced as cold and impersonal? ), I found quite the contrary to be true in Norway. Norway and it's people were incredibly welcoming. In addition to it's beauty, this is a very unique and interesting country. Here are 11 remarkable bits of information about Norway. You should be able to impress friends, family and colleague with your random knowledge about this mysterious country! Norway's coastline has 63,000 miles of twisting land - which, as National Geographic points out, would circle the world two and a half times if stretched out. All that in a country less than 1,100 miles from south to north! It's incredibly common for Norwegian families to own a cabin; these cabins are in rural areas such as in the mountains or near the fjords. They vary in size and amenities. For instance, some cabins can be as comfortable as the families’ regular home (amazing wifi, modern kitchen, indoor bathrooms, etc. ), however cabins are usually much more rugged (no wifi, outdoor bathrooms, stove that’s perhaps a hundred years old, etc.). The latter is the much more common, and traditional option. With the discovery of oil in the Norway Continental Shelf in 1967, Norway was catapulted to economic success. As of 2015, 40% of Norway's exports are crude oil and natural gas. Petroleum activities have played a key role in the development of today’s welfare state in Norway. With the funds from oil, Norway re-invests in public services like education, research and infrastructure. Their largest problem was, according to Business Insider, is that the, "oil wealth is so huge, [they] run the risk of wasting it on substandard projects that are not profitable enough." Ironically, most of the energy Norway uses is hydroelectric. 4. 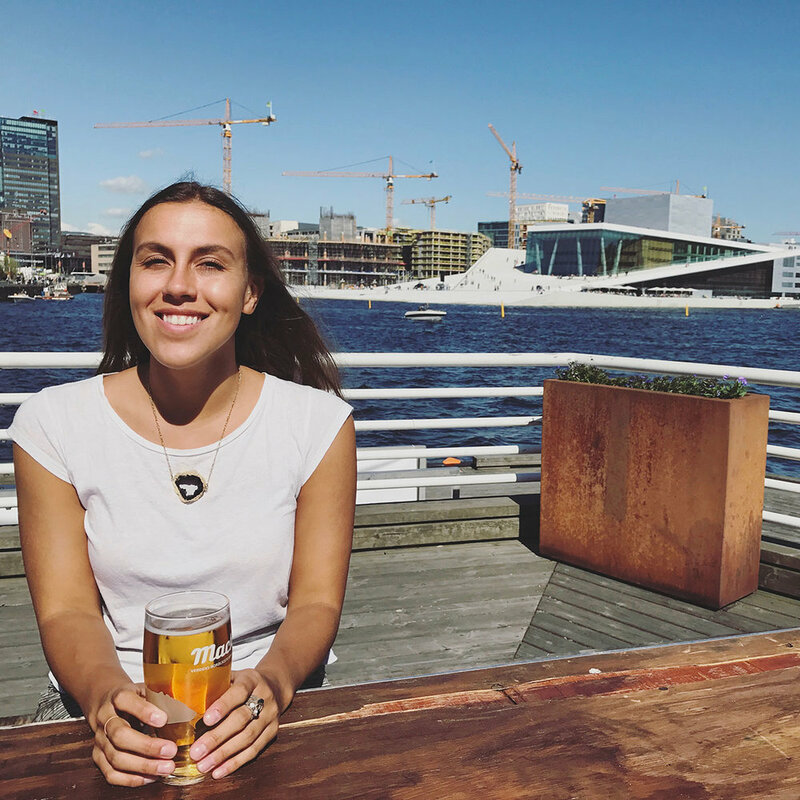 University is free – for everyone, not just Norwegians! Think your undergraduate degree or graduate degrees are too costly? Attend University in Norway for free! Consider this a perk from the aforementioned oil profits. If you are a foreigner going to school in Norway, immigrate to Norway or just simply move here, Norway offers free language courses to help people assimilate into the country better. Here in the fjords, the eagles and whales reign supreme. Norway's longest fjord is Sognefjord, which is 204 kilometers (127 miles) long and in some places, more than 1300 meters (808 miles) deep. Geirangerfjord and Nærøyfjord are both UNESCO protected. There is a word for when the rain stops and the sun comes out and you take a minute to enjoy the sunshine. The word is “opplett”. If this happens when you’re there you can say to someone “Det er opplett ute” meaning "enjoy the sunshine"! “Russebukse” aka “Russ” pronounced (roose) is when soon to be high school graduates come together and party for the month of May, ending on their constitutional day 17th of May. They drive around all over town in “russebusser” or buses that are really colorful in order to draw attention to themselves. You can identify the soon to be grads by their bright red pants. Æ Ø Å. Also C W X Q Z are rarely used. Where in English we’d usually use a “c” like cat, Norwegians write katt. And Norwegians call Norway "Norge". There are hundreds of them depending on where you come from in the country. You can wear this on any big occasion like a wedding or baptism. If you’re in Norway on the 17th of May which is their constitution day you’ll see these everywhere! 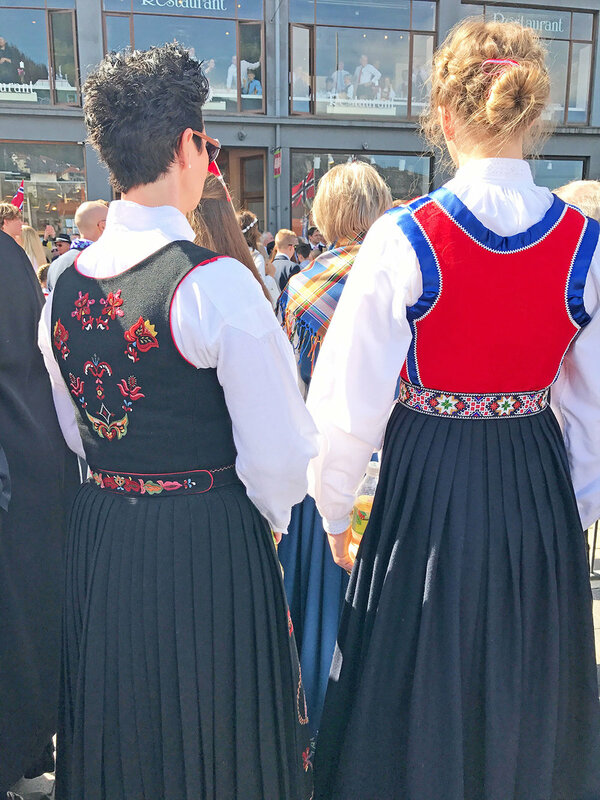 A real bunad can cost several thousand dollars, so if you have one you have it for life. It is much more common for women to have and wear bunads, although men do have them. Many 15 year old girls are gifted one at their confirmation. Bunads come with an expandable waistband so you can wear it as you grow older. Really, this is true! I know it seems counterintuitive because Norway always appears to be rainy, snowy and cold, so how is there no bad weather? There's a saying in Norwegian that "there's no such thing as bad weather, only bad clothing." I just love this mentality. You can't change the weather, so there's no use in complaining. Clothing, however, is in your control, so this is what Norwegians focus on. This mindset is applicable to so many scenarios. Visiting Norway was one of the most memorable and joyful experiences of my life. Every day, every bend around a corner, every drop of rain or ray of sunshine felt like something out of a fairy tale. If Norway sounds like it might give you the same awe-inspiring experiences and stories, contact us to start planning your next great adventure to this magnificent country.